Summary: mocha is award-winning tracking software developed by Imagineer Systems. Built upon a renowned planar-tracking image engine, mocha follows “pixel patterns” through the most difficult conditions, including objects that go off-screen, objects that are partially obscured, and even out-of-focus footage. Target Applications: Editors, colorists and effects artists. 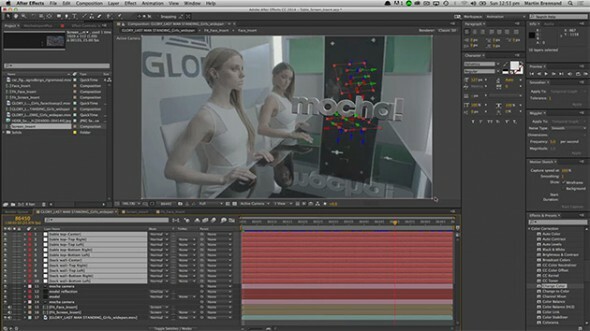 mocha Pro has advanced modules for object removal, 3D tracking, stabilization and more. mocha Plus (formerly named mocha AE v3) is a standalone utility for tracking and masking. What’s Cool: Advanced tools for stereo 3D, customizable keyboard shortcuts, Adobe Premiere Pro support, Python scripting, improved format support, and an umproved UI with high-resolution (retina) display support. Motion-tracking is an increasingly important part of the editorial toolkit. If your workload is anything like mine, I’m sure you’ve had to replace something in a shot, like a sign, logo or billboard. Or perhaps you needed to do screen-replacement on an iPhone or tablet computer in a scene. Motion-tracking tools track those objects as they move through a clip, allowing you to make the necessary changes to the footage. Most of us turn to the built-in point trackers in apps like Adobe After Effects to get these types of shots done. These tracking tools require a user to select points in the frame that remain consistent relative to the object being tracked throughout the entire shot. Point-tracking often runs into problems when an object is out of focus or obscured, or if it leaves and re-enters the frame. Often, getting good point tracks requires a mix of experience and luck. You might also need to employ more advanced tracking techniques, such as using a 3D Camera Solver to integrating 3D characters or objects into live footage and set extensions, removing unwanted elements, wires, rigs and tracking marks, doing digital beauty work, camera and image stabilization or calibration and correction of lens distortion. Regardless of the type of tracking work you do, planar-tracking technology has many advantages over point trackers, and it requires less experience on your part to get a successful track. Planar-tracking technology was invented by Imagineer Systems in 2001. It has a long and successful history of use on big features such as the Hobbit films, The Amazing Spider-Man and the Harry Potter series. Notably, in 2013 Imagineer’s team was awarded a Scientific and Engineering Award by the Academy of Motion Picture Arts and Sciences for the development of mocha. Built upon Imagineer’s planar-tracking image engine, mocha follows “pixel patterns” through the most difficult conditions and accurately follows translation, scale, rotation, skew and perspective. The newest version of the engine powers mocha Pro 4 and mocha Plus (formerly mocha AE). 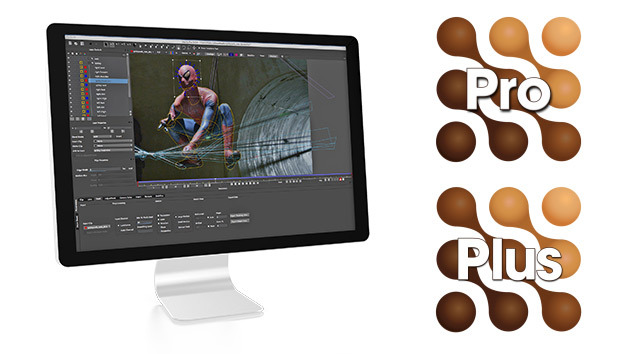 These new releases feature a slew of new tools to help with motion-tracking and rotoscoping. A new stereo 3D workflow adds stereo support to planar tracking, and Python scripting support allows facilities to further customize their workflows. Other features include a new customizable keyboard shortcut interface, support for Adobe Premiere Pro masks, Nuke 7 Tracker export and improved Nuke Roto exports, and an improved user interface with high-resolution retina display support. mocha Plus and mocha Pro are separate, independent apps. mocha Pro is the flagship product with advanced modules for Object Removal, 3D tracking, Stabilization and more. It can export to most industry-standard formats including After Effects, Nuke, Flame and C4D. mocha Plus (formerly Mocha AE v3) is a standalone utility for tracking and masking with extra new features including support for After Effects, Premiere Pro, Final Cut Pro, Motion, and Boris FX. You can find a full comparison on Imagineer’s website. The user interface is easy to navigate. You start by importing your footage. You’ll need to have the video clips you want to work with ready to go, and best practices dictate that you only import as much as you need. Long files can be time-consuming to process, slowing down the tracking. In mocha Plus or mocha Pro, you first define the area you want to select by drawing a selection with X splines or bezier shape tools. In general, X splines work better for tracking, especially with perspective motion. You can be fairly loose with your spline — the Planar Tracker is intelligent enough to discard pixel movement that doesn’t conform to the movement of the majority of the pixels within the shape. When you work with the mocha tools, you will need to look for planes in the clip. More specifically, you will need to look for planes that coincide with movements you want to track. You then track forward or backward to capture its position throughout the clip, and mocha will automatically follow the object as it moves. If the track isn’t quite right, there are many tools to help solve tracking challenges with pixel-perfect accuracy. You can also access some additional tools related to screen replacement, object removal, advanced rotoscoping tools, stabilization, a 3D camera solver, the lens module for correcting and removing lens distortion, and powerful stereo 3D support. Finally, you export the tracking information to the format of your choice. The software can export tracks to Adobe After Effects CS4 through CC; Apple Final Cut Pro, Final Cut Express, Motion, and Shake; Autodesk Combustion, Flame, Flint, Inferno, and Smoke; Avid DS; Boris FX plugins; Eyeon Fusion (Eyeon became a wholly owned subsidiary of Blackmagic Design in early September); The Foundry Nuke and Nuke X; HitFilm 2 Ultimate; and Quantel’s generation Q systems. It can also export masks into Adobe Premiere Pro CC, export shapes into Final Cut, export rotopaint nodes to Nuke, export shapes into Final Cut and After Effects, and export clips and shapes into QuickTime formats. There’s also support for Maya, Assimilate Scratch, Maxon Cinema 4D, and Red Giant. The video tutorials on the Imagineer web site are really well done and offer in-depth lessons on almost every one of Mocha’s many parts. The online manual is also really good, with step-by-step instructions with pictures. The impressive list of new features in this upgrade and the speed and accuracy at which mocha can improve tracking and rotoscoping makes it a must-have addition to your editing toolkit. If you’re a Premiere Pro user who wants tracked opacity masks or an After Effects user looking for a new 3D camera solver, then take a look at mocha Plus. If you’re using a higher-end finishing package or need one of its other features, then check out mocha Pro instead. Not sure whether mocha fits the bill for your workflow? Check out the Imagineer Systems site. Both versions are available as free trials. Nino Del Padre is a music video and commercial director and DP who has been shooting music videos, commercials, shorts and promotional spots professionally for over 20 years.